2 Beds 2 / 0 Baths 1,047 Sq. ft. Description: Strawberry hill estates! Well maintained building in central and convenient location! Bright and spacious corner unit. Balcony facing west. Renovations in 2016 include new paint, kitchen appliances, tile flooring, laminate flooring, gas fireplace, master ensuite shower and washer/dryer. Ready to move in condition! Comes with 2 covered parking spots. Amazing location! 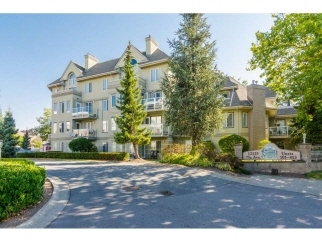 Walking distance to shopping, transit, restaurants, theatres and parks. Open house sept 9th 2-4pm! A must see!